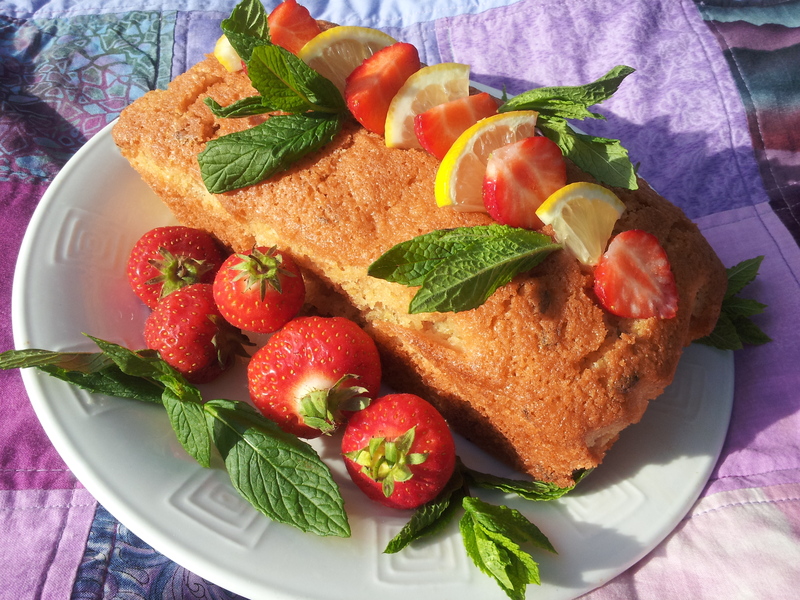 This Pimm’s Drizzle cake is the perfect treat to serve at a picnic or barbecue on a sunny day. It just smells of summer and looks absolutely beautiful. Strawberries, lemon and mint to decorate. 1) Preheat your oven to 160 ºC for a fan oven, 180ºC or gas mark 4 for standard ovens. 2) Cream together butter and sugar until smooth and pale, then whisk in the eggs one at a time. 3) Fold in the flour until smooth then stir in zest, chopped mint and 50ml of Pimm’s. 4) Put into loaf tin and bake for about 50 mins. Mix the juice of the orange and lemon with the 100mils of Pimm’s you have left and when cake is baked, prick it over the top and slowly pour the juice on while it is still hot allowing it to soak in. Allow to cool, decorate and eat. This entry was posted in Food and tagged cake, food, outdoors, recipes on July 9, 2013 by Siobhan.